At the time Franklin Delano Roosevelt and Herbert Hoover were seen as giants in the public life. Franklin Delano Roosevelt and Herbert Hoover were both tall, energetic, and robust. against using the government to help Americans during the great depression. 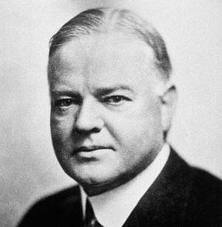 Hoover felt that involvement would destroy self- reliance and individualism. He was a Republican and believed in the "laissez faire" meaning, low or no government intervention. figure. He believed a big government was necessary in order to be responsible for social security, welfare, and more. Once elected into office, he quickly began thinking of ideas in order to relieve the United States of the catastrophic events.